I’m very privileged to have both a wonderful mum and a wonderful mother-in-law (and I’m not just saying that because they both sometimes pop by this blog)! So of course I wanted to make sure they got handmade cards for mother’s day. 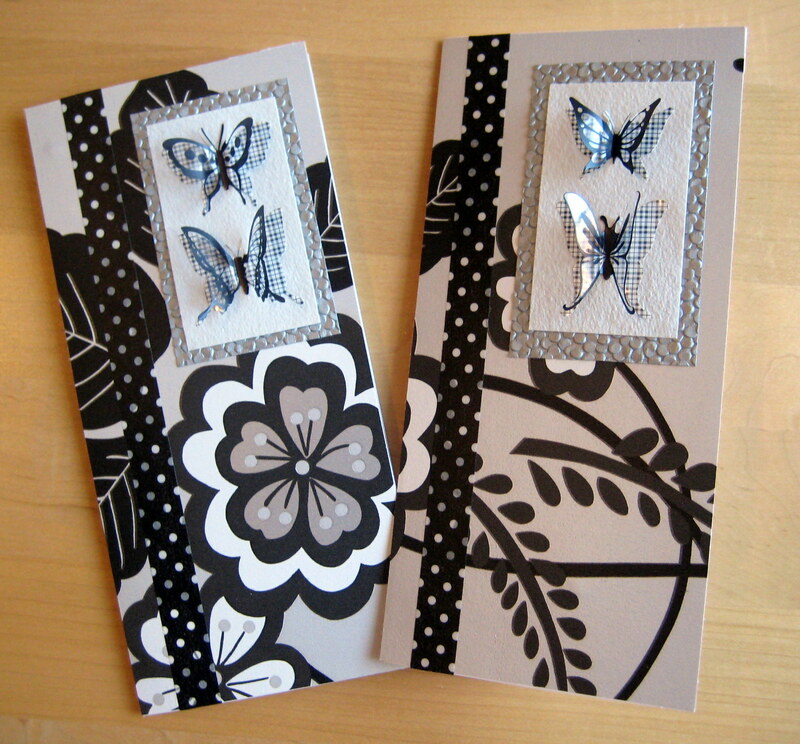 I started with these great butterfly stickers from a local craft store (similar here). They are made from acetate and fold flat for posting, but then pop back up for a 3D effect when opened. I loved them so much I went and bought some more in a different colour way the next day… so hopefully you will be seeing some similar cards to these in my shop soon! 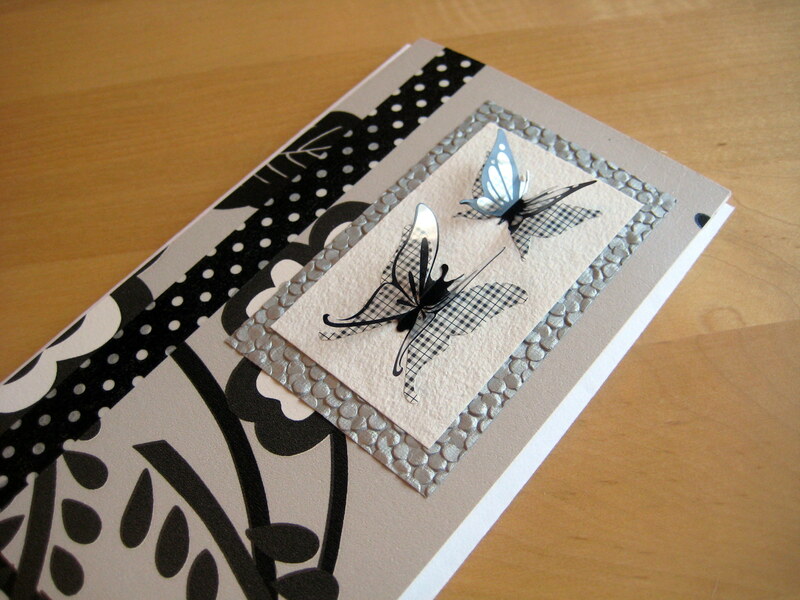 Behind the butterflies is some handmade paper, textured silver paper, and then a background of recycled wallpaper. 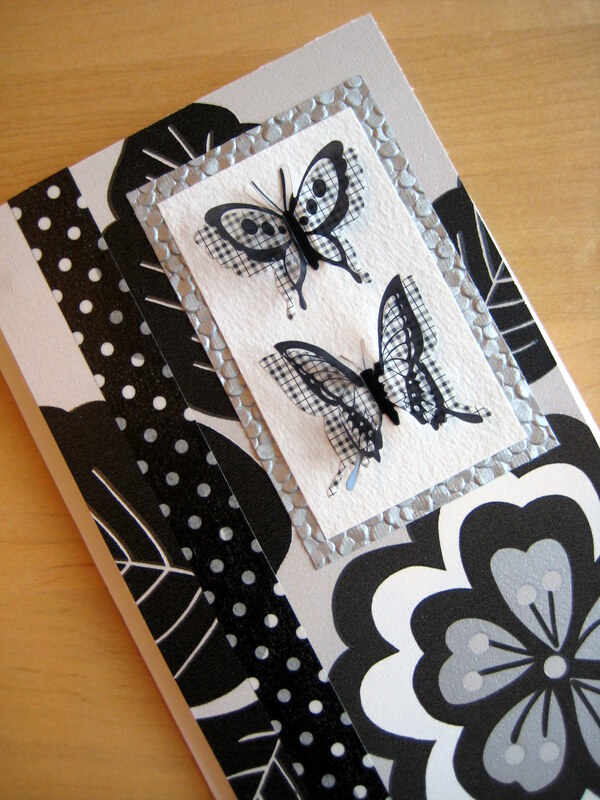 I also added a stripe of polka dot washi tape, which is another new favourite product. I realise that by now my regular readers must think I am actively stealing wallpaper from my local DIY store, but actually I is just that I always have lots of ideas and I’m wary that colours can look very different in natural light to shop strip lighting. So I always pick plenty of samples! I think it’s important when you are making bold wallpaper choices (I love a feature wall). 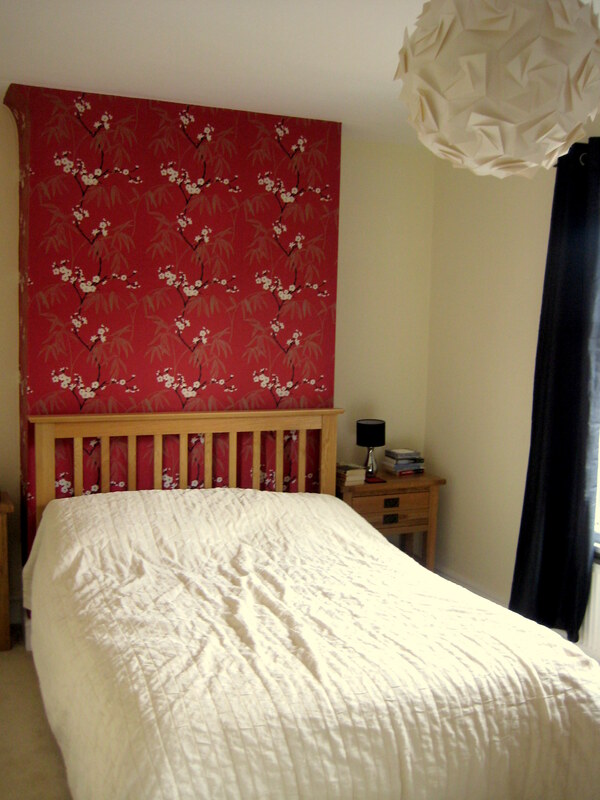 And we have had a whole house to redecorate… although I haven’t found that perfect paper for the living room yet! Feature wallpaper. I also love our origami light shade!